What is Gluten and Who Needs Gluten-free Products? Gluten is a protein found in the grains wheat, barley, oats, and rye. Most of us unknowingly love it, because gluten gives our favorite foods that special touch: It makes pizza dough stretchy, gives bread its spongy texture, and is used to thicken sauces and soups. Gluten-free eating has a basis in science, and it does help a genuine health problem. To people with a chronic digestive disorder called Celiac disease, gluten is truly evil: Their bodies regard even a tiny crumb of it as a malicious invader and mount an immune response. The problem is this immune reaction ends up damaging the small intestine, which causes both great gastrointestinal distress and nutritional deficiencies. If untreated, these responses can then lead to intestinal cancers as well as complications such as infertility and osteoporosis, to list a few. Now another problem is emerging, and experts are referring to it as non-celiac gluten sensitivity. These are people who have trouble digesting gluten and are considered gluten-intolerant or have a sensitivity to gluten found in foods. Gluten sensitivity can lead to similar celiac symptoms such as stomach cramps, diarrhea, and bloating. But unlike celiac, sensitivity doesn’t damage the intestine. For years, health professionals didn’t believe non-celiac gluten sensitivity existed, but experts are beginning to acknowledge that it may affect as many as 20 million Americans. Should Everyone Eat a Gluten Free Diet? With a gluten free diet, these individual’s symptoms greatly diminish and they are able to maintain a comfortable and healthy life. They are known to have fewer symptoms and quicker recovery. 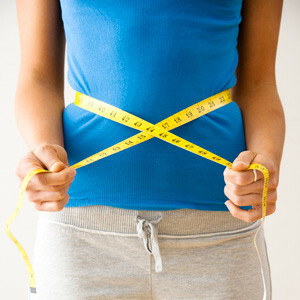 And as a plus, a gluten free diet remarkably assists people in losing weight and living a healthier life. 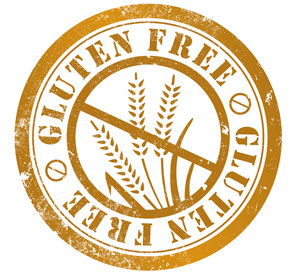 Gluten free diets lead to a healthier and happier you, even if you are not gluten intolerant. When you eat Island Girl Bakes gluten free products, you will have a happy and healthy belly! !